Acer say the first notebook lines to receive the update will be the Acer Spin 5 and Spin 3 convertible families on May 23 and May 26, respectively. 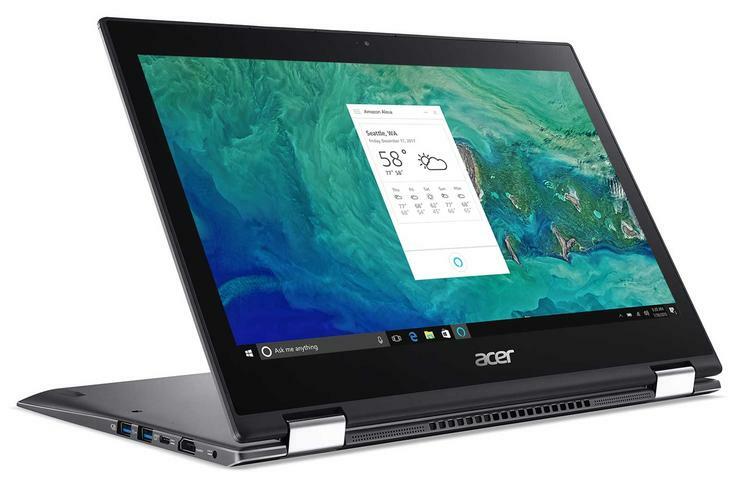 "The Acer Spin 3 and Spin 5 convertible notebooks are the ideal products for the industry debut of Alexa voice functionality on notebooks," said Jerry Kao, President of IT Products Business of Acer Inc.
"We are thrilled to be the first to market with these flexible systems, which feature industry-leading audio and the latest technologies for convenient, time-saving and intuitive interactions." HP shipped the first all-in-one PC featuring built-in Alexa earlier this year. Acer also revealed that Alexa will also come pre-installed on the Acer Nitro 5 Spin range next month and rolled out via software update to the company's existing Aspire, Switch and Swift notebooks, as well as Aspire all-in-one PCs, in the coming weeks. "We’re delighted to work with Acer to bring Alexa to customers in new ways," said Steve Rabuchin, Vice President, Amazon Alexa. "We believe customers should be able to interact with Alexa wherever they might need her, including from their PCs, in order to take advantage of the simplicity of voice control."